As he is quoted saying, he made a move he had executed a ‘million times’ when he felt like someone had kicked him in the leg, and he subsequently crumpled to the ground. This is the classic history one might obtain when caring for an athlete with such an injury. If you watch the video, you’ll see Kobe perform a classic move which can result in a ruptured tendon: his left leg pushes back while he powerfully tries to accelerate around the defensive player; this eccentric contraction is followed by a step and immediate inability to bear weight, and he falls to the ground. Athletes have recovered from Achilles tendon ruptures, including David Beckham, who currently plays for Paris St. Germain after rupturing his Achilles in 2010 and having subsequent surgical treatment. However, Kobe is out for the season, and the Lakers, the NBA, and the worldwide basketball community, can only hope he’ll be back next season and recover without too much diminution of his skills. His surgery will probably take place soon, but as readers of CJSM would know, there are options for treatment that include conservative approaches. This journal has looked into the outcomes for different treatment options for Achilles tendon ruptures in the March 2012 issue: “Surgical vs. Nonsurgical Treatment of Acute Achilles Tendon Rupture,” a study authored by PR Donaldson that was part of that month’s “CJSM Sports Journal Club.” In the study, it appears that athletes opting for surgery achieve certain measures of performance (strength and endurance) earlier than those opting for non-surgical approaches, but rerupture rates (the primary outcome measure) and patient-reported function levels in the two cohorts were not statistically significantly different one year after treatment. Kobe will almost surely get surgery, and we can hope he’ll recover well, but in a sport which puts a premium on running, jumping, cutting and acceleration, it will bear watching to see if he can return to being the “Black Mamba” on the basketball court. 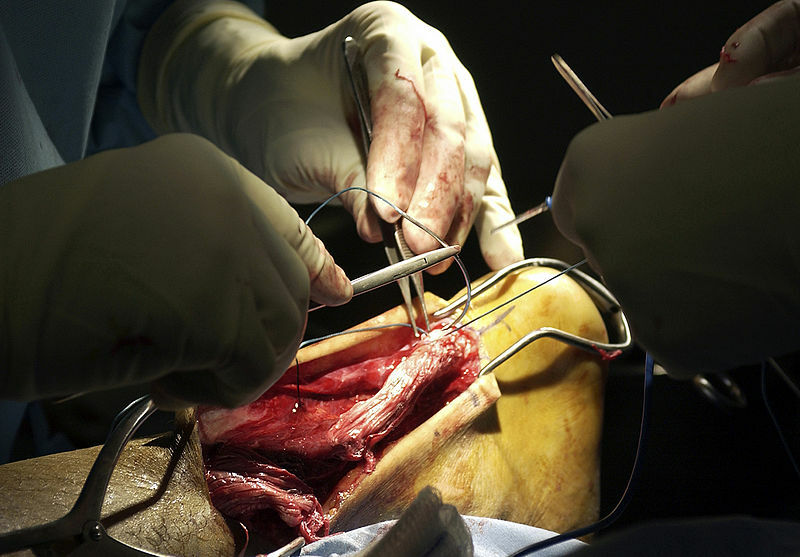 What do readers of this blog think about the options of surgical vs. non-surgical treatment of Achilles tendon ruptures? What evidence-based medical studies are in the literature that might guide this clinical decision?